You've found a great new tenant and set a move-in date. This is your perfect opportunity for regular maintenance and repairs. 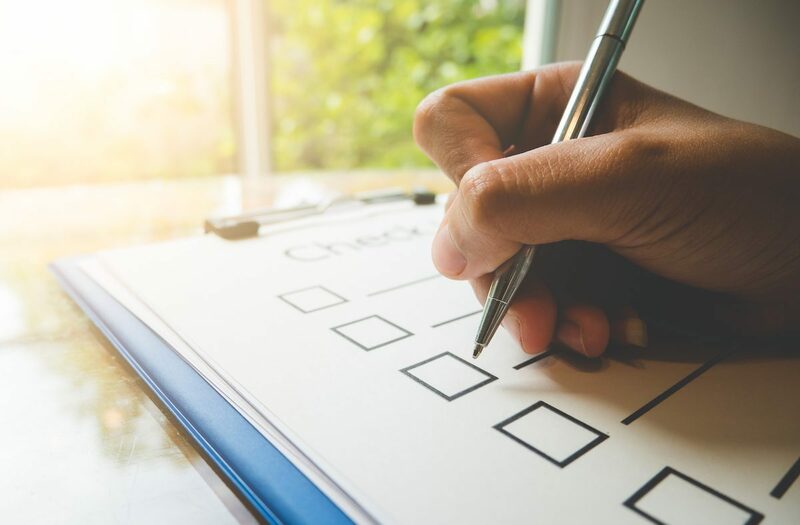 Make the most of this time to get your unit ready and ensure everything goes smoothly with our comprehensive landlord's checklist. Be proactive and deal with small problems before they become larger and more expensive. Your landlord's checklist will include utilities, damage inspection, maintenance and move-in documentation. Once this checklist becomes routine, you'll be able to welcome new renters with minimal headaches. Ensure all previous tenant utility bills were paid and move all services into your name between tenants. Many utilities have a “landlord" service available for short-term needs. When it's time for the new tenants to move in, schedule any utilities included in the rent to be turned on, such as water, garbage or pest control. Triple check that utilities will be turned on before tenants move in. After the previous tenant moves out, inspect the property and arrange for any needed repairs. An empty home is easier to work on than one full of tenants' stuff. Walk the lot and look for holes in the lawn, branches that need trimming, etc. Note exterior maintenance tasks needed such as gutter or window repairs. These can be completed after the tenant moves in, if needed, but it's not ideal. Pay attention to carpeting and damage to flooring. Carpet mechanics or floor repairs can be made much easier without having to move furniture. Walk through the property with the new tenant. Take photos to document “to do" items and any issues to avoid misunderstandings in the future. Complete a plumbing inspection – check and repair faucets, shower heads and drains. Do this yourself if you're confident in your abilities or send a plumber through. Visually inspect tub caulk, which generally needs replacing every two years or so. Cracked, peeling or moldy caulk is a clear sign of trouble. Check appliances and make sure all are fully functional. Repair or replace broken eyes on the stove or heating elements in the oven. Check HVAC filters and water filters. Go ahead and insert a clean HVAC filter. Schedule or complete a good cleaning. Include the oven, fridge, bathrooms and a good wipe down on the property's woodwork. Clear the roof of branches, gutters of leaves, etc., to avoid problems down the road. Cut the lawn and trim bushes as necessary. You'll want the property looking its best for move-in day. Have multiple copies of the signed lease and manuals for the appliances and systems readily available. If you have a website, you can post these for easy reference. Provide utility information as a courtesy. Be clear when you'll disconnect service if a lease isn't renewed, so your renter doesn't get caught in the cold/dark. Include emergency contacts and phone numbers to call with maintenance issues. Provide guidance on the move-in process. Explain that a moving van should never drive on the grass, clearly state the acceptable hours of the day for moving, share tips for minimizing disruptions for the neighbors, etc. List who will be present on move-in day, if anyone. If the home has special requirements (counter top cleaner, hardwood floors, stainless steel, etc.) provide instructions on how to care for these items. Hand off copies of the lease, manuals and keys to someone else if you won't be there. It's a good idea to have this person stop by afterwards to make sure your new tenant gets all settled in. Using this comprehensive landlord's checklist, you'll be set for a smooth transition between tenants. You'll also have a headstart on keeping your property in good repair with minimal downtime and lost rent. 30-year landlord and freelance marketing writer, Melanie Merrifield has decades of experience as an advertising, UX content strategist and digital marketing professional. Her work supports companies such as AT&T, SCANA Energy, Bally’s Health and Fitness, the Make-A-Wish Foundation, Synchrony Financial and other global brands. Off the clock, Melanie enjoys over-eating, collecting vintage vinyl and taking hip hop classes.